To access a DynamoDB instance, you should obtain the proper credentials from your administrator. 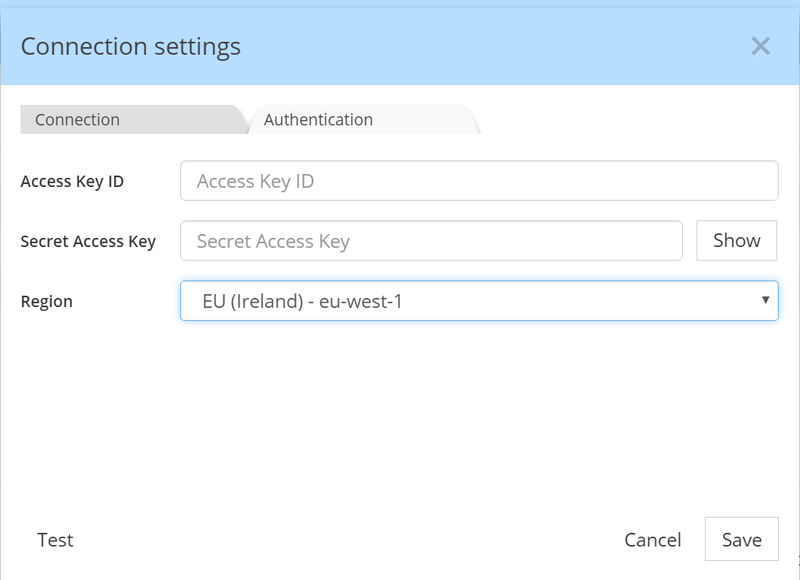 In particular you'll need to know your Access Key, Secret Access Key, and the Region for the instance. Give a meaningful name to the connection and make sure that the option 'use local DynamoDB' is unchecked. Then go to the Authentication tab, and paste the Access Key ID received from your administrator, and Secret Access Key for your IAM. Finally, select the appropriate region where your DynamoDB instance is located. You may test the connection prior to saving the connection parameters for future use.